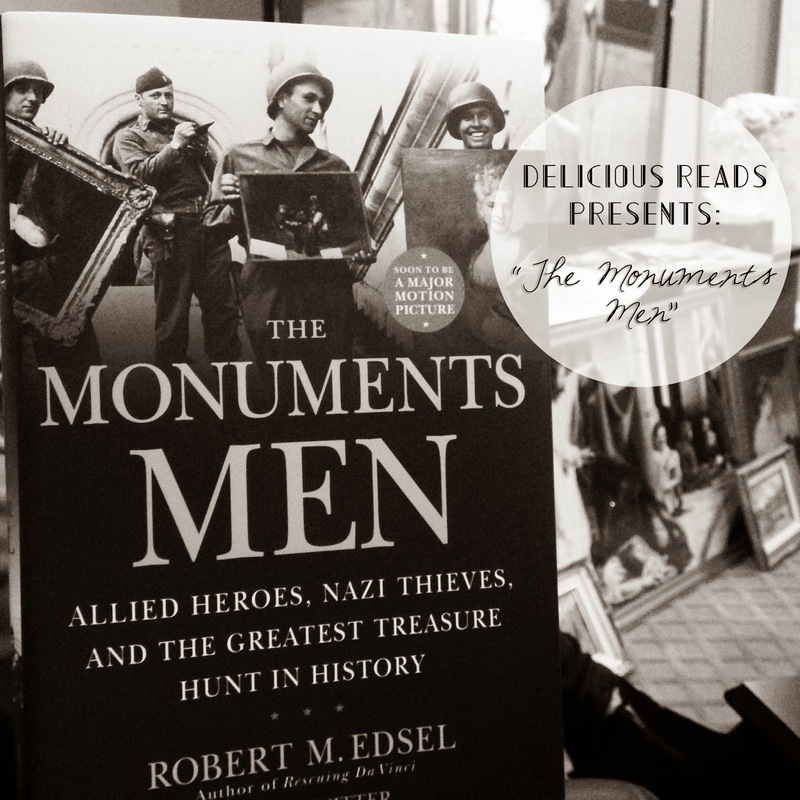 We heard chatter about this interesting book called, "The Monuments Men" early last fall before we knew it was ever going to be made into a movie and after learning a little more about it, we knew right away that we wanted to read it! 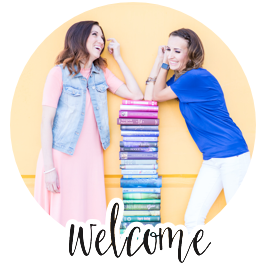 Before you read The Monuments Men (or even after), you should download this detailed character list that one of my fabulous book club members created to help keep who's who straight! I WISH I would have had this piece of gold before I started reading! It was well-known that Adolf Hitler was hoarding Europe’s plundered art for his planned Führer Museum in Linz, Austria. In addition to stealing Europe’s paintings and sculptures, he also intended to destroy “degenerate” works of art that he despised from both Jewish and modern artists. GASP! 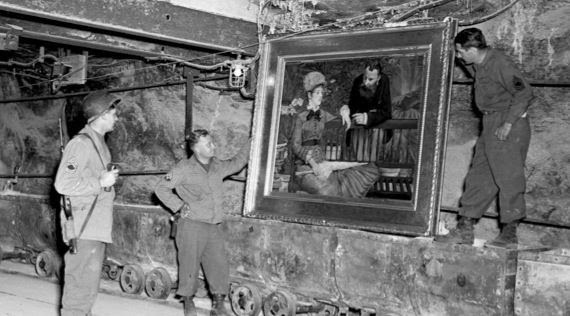 American soldiers and the Monuments Men later discovered Manet’s “In the Conservatory” hidden in Germany’s Merkers salt mines along with large amounts of Nazi gold, and many other stolen works of art in 1945. 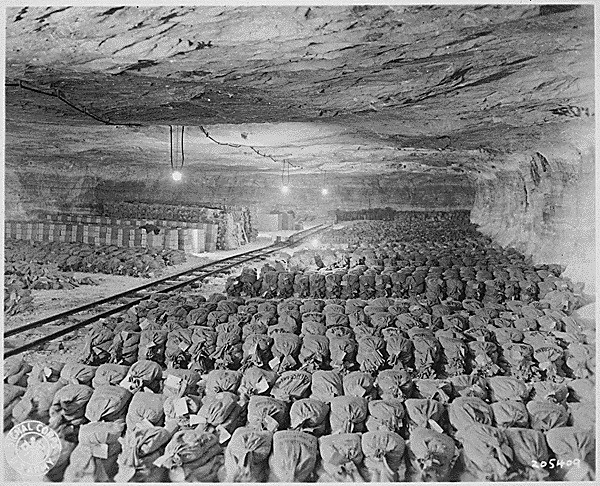 Besides works of art, the Merkers mine complex held most of the Third Reichâs gold reserves (roughly $5 billion in todayâs dollars) and paper currency. 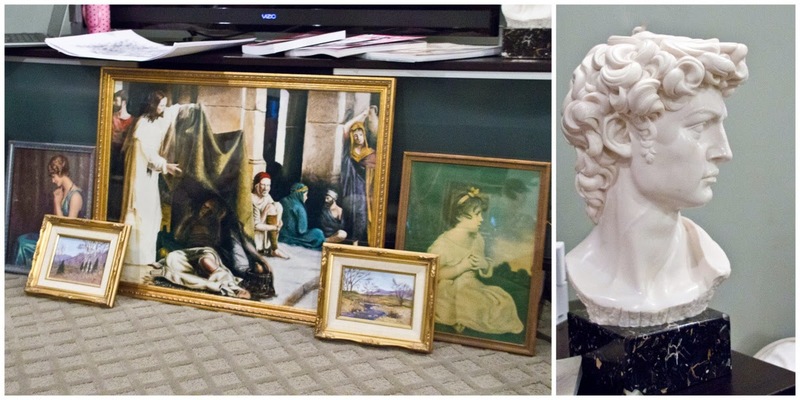 We may not have had any Monet's or Rembrandt's but we had quite the collection of artwork and sculptures adorning our meeting! 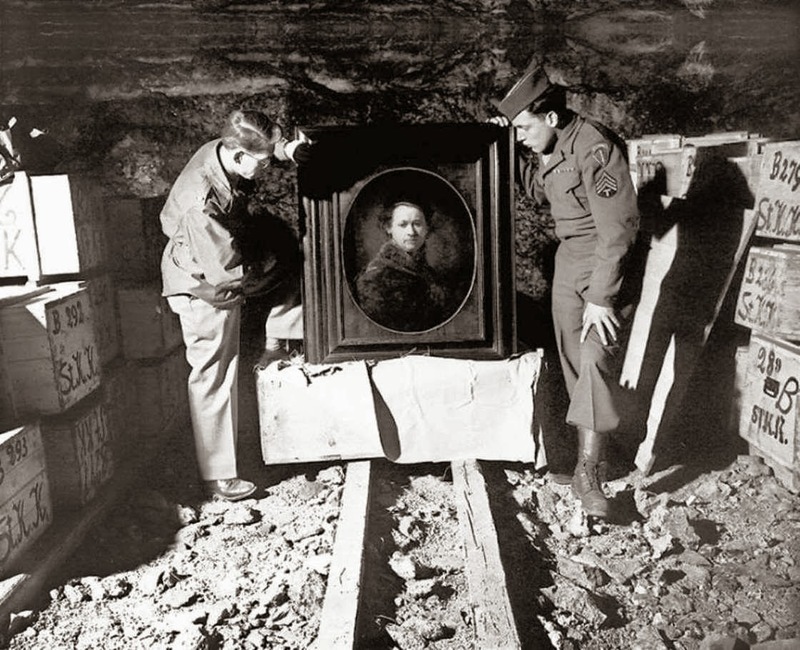 There are still TONS of missing paintings, sculptures, and documents from WWII that have not been accounted for. You can join the hunt and see a list of all the art still missing HERE. 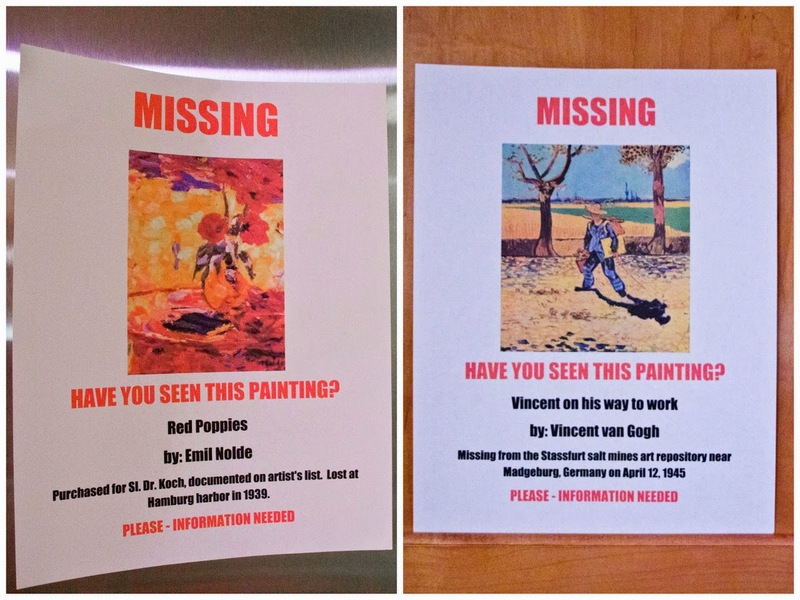 Brittanie created several of these "MISSING, HAVE YOU SEEN THIS PAINTING" posters and had them hanging all around the room. Ahhhhhh, can't you just imagine coming across a Vincent Van Gogh painting in your great grandparents attics that they somehow forgot about?!? 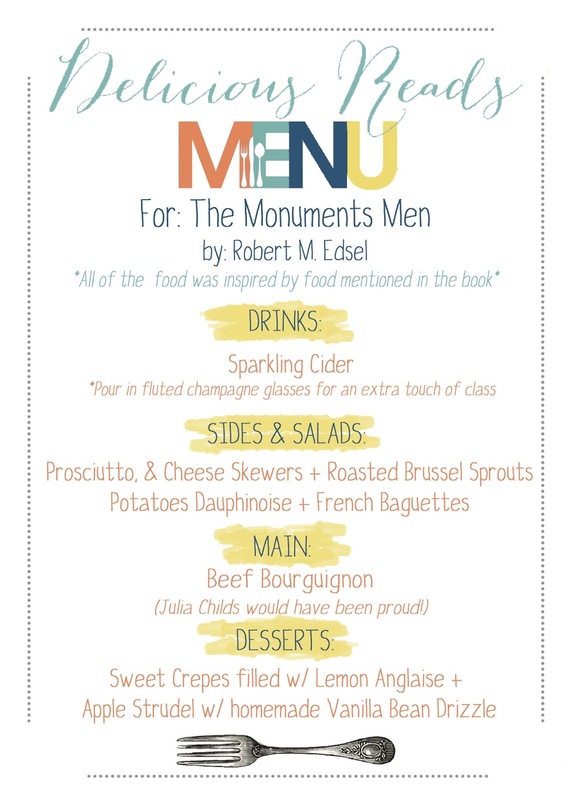 We had a perfect Parisian menu for this book, mostly because we didn't want to eat army rations if we were being totally true to the book. We know that the Monuments Men traveled all over Europe but a large portion of the book was set in France and who doesn't like Crepes right? 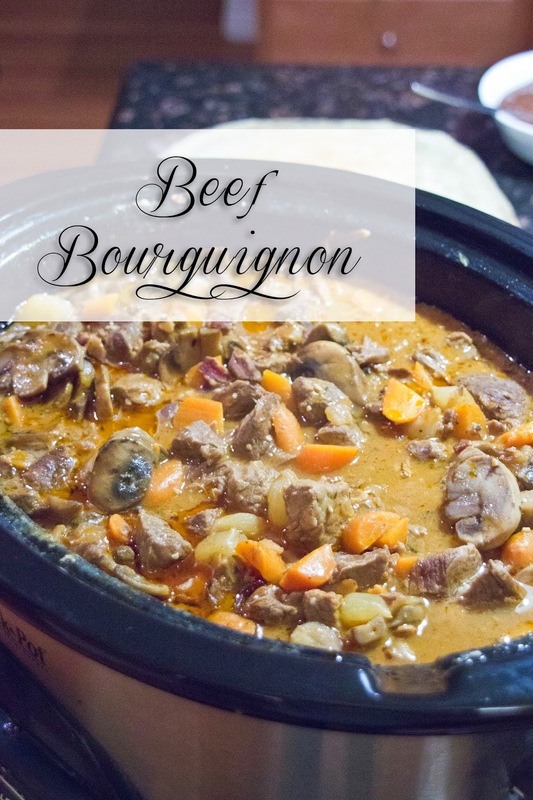 Brittanie's mom visited our book club and brought with her this DELICIOUS Beef Bourguignon as our main course. We had Crepes coming out of our ears! 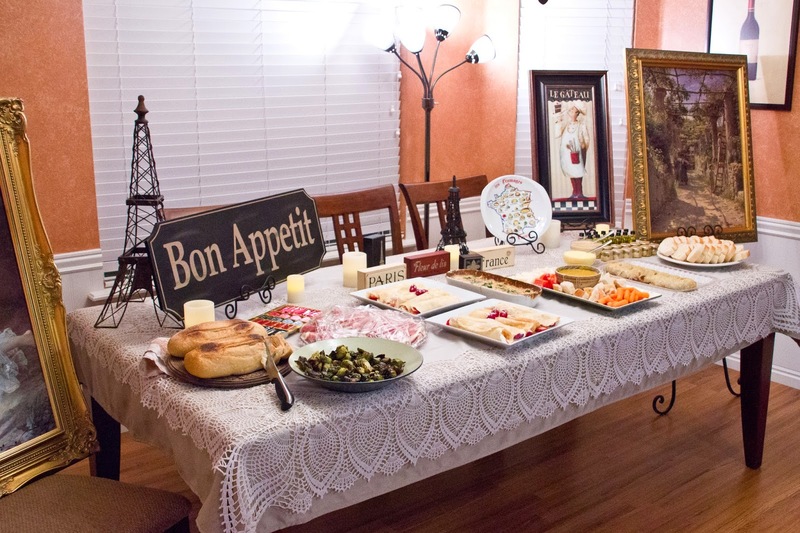 Some were filled with a heavenly lemon creme anglaise and we also had a 'build your own crepe' station with all the fixings. 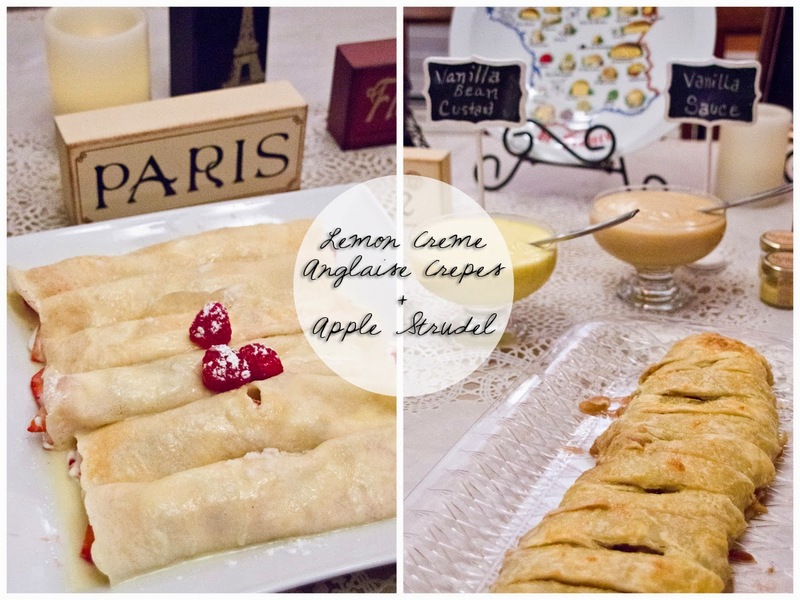 We wanted to have a little German influence represented so we also had a scrumtious homemade apple strudel. 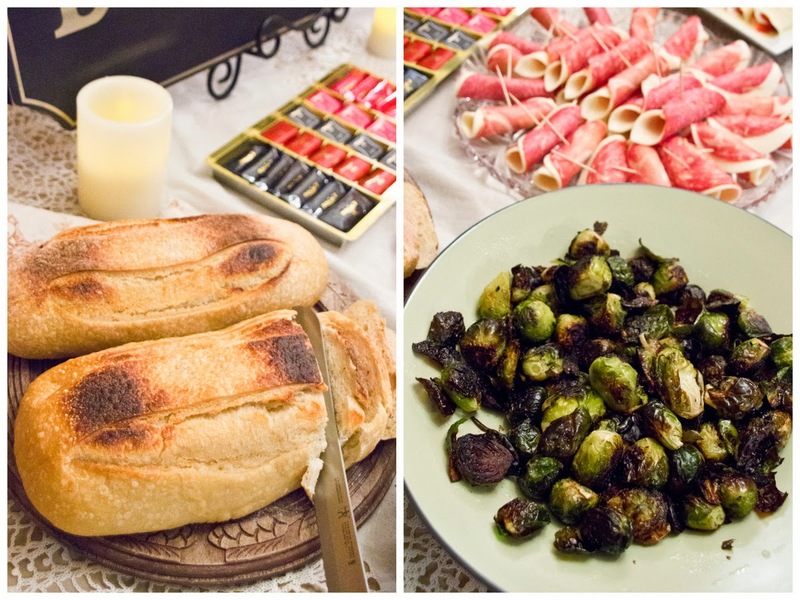 Download the recipes for all the food HERE! 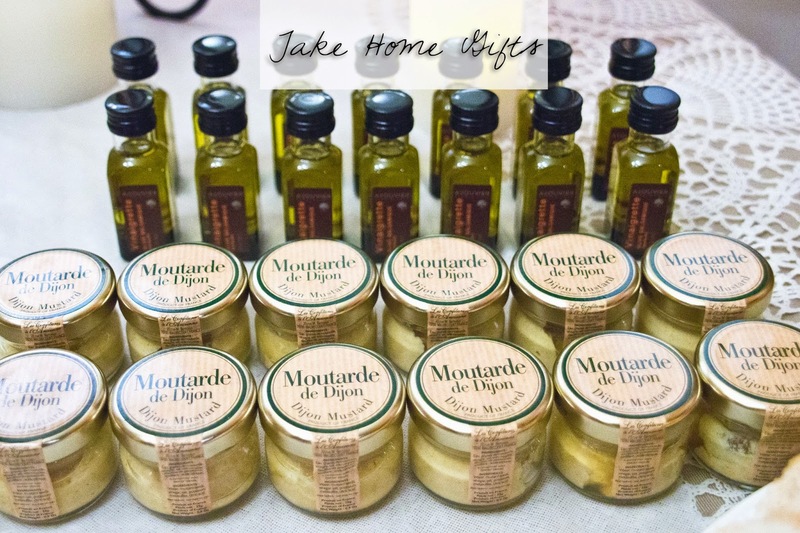 Brittanies parents brought home these adorable mini olive oil and Dijon mustard's from their recent trip to France as take home gifts. Is it just me or does food taste better when you know it comes from Europe? The altarpiece is ginormous, weighing over a ton! It was coveted by Hitler since it symbolized the ideal of Aryan supremacy, having been painted by a Germanic artist. The altarpiece has been moved several times over the centuries. 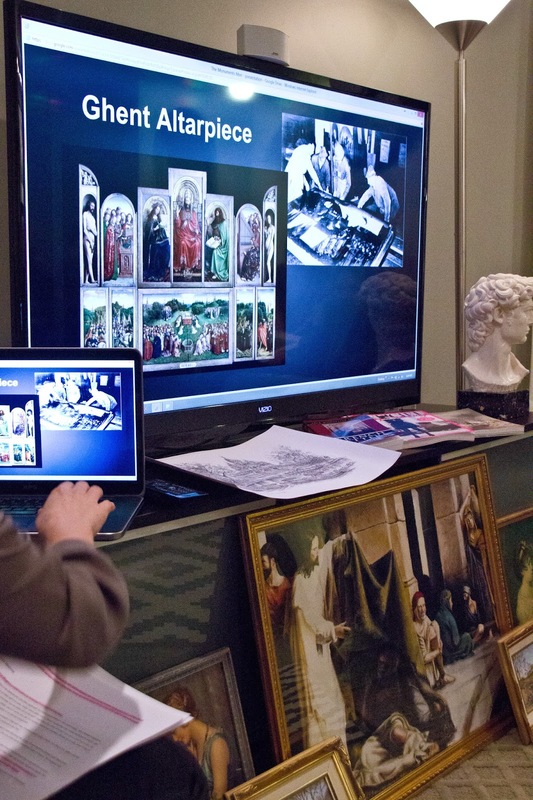 Art historian Noah Charney describes the altarpiece as one of the more coveted and desired pieces of art, the victim of 13 crimes since its installation, and seven thefts! I found this beautiful piece of art FASCINATING! 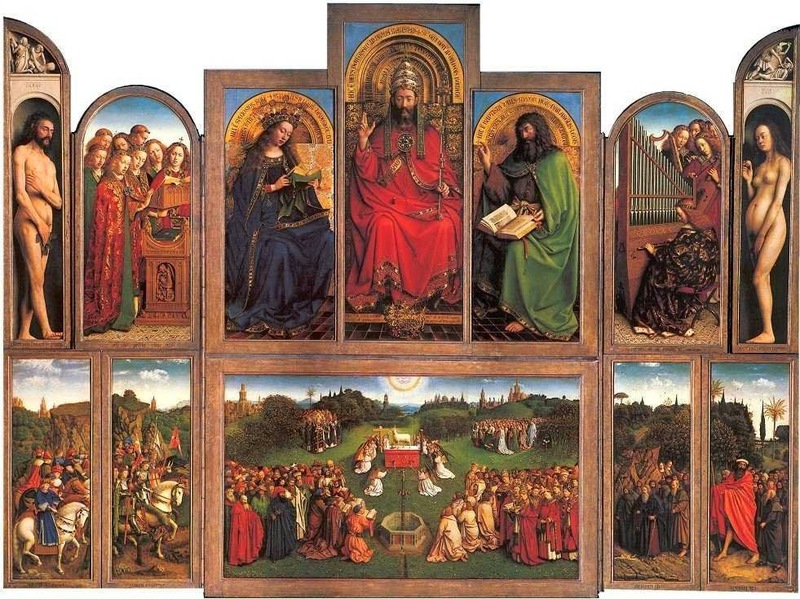 If you are like me and want to learn more about this amazing altarpiece and see the different panels close up, I'd recommend you go HERE. 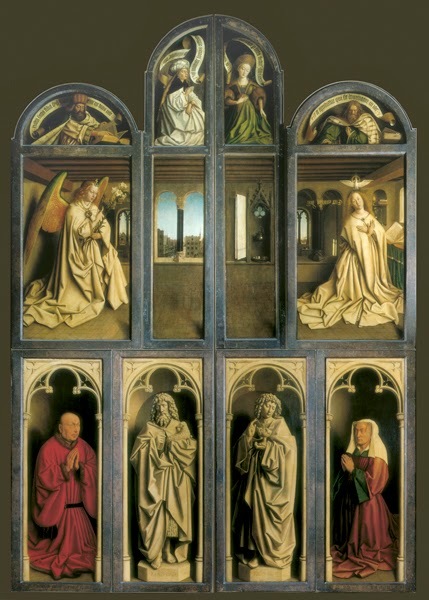 BELOW: Shows the altarpiece when its closed. 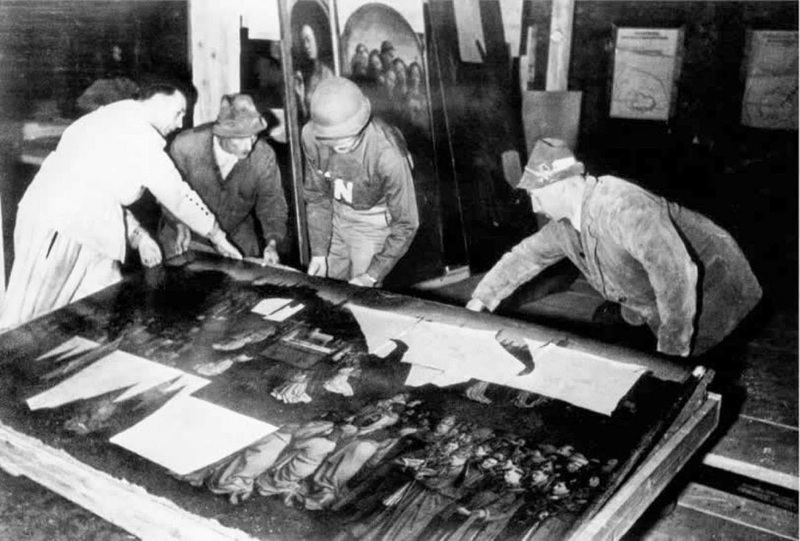 The Altarpiece was taken by the Germans in 1942 from its hiding place at Chateau de Pau, in the south of France, and found in the Altaussee salt mine by the Monuments Men after the war. 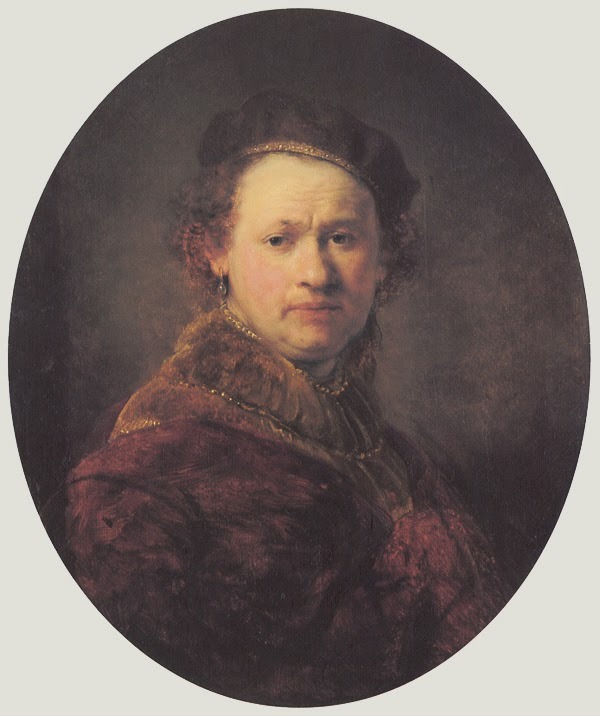 This Rembrandt self portrait once hung in the museum of Harry Ettlinger’s — the last surviving Monuments Men — old home town of Karlsruhe, in the south-west of Germany. In fact, Ettlinger still remembers when he found the painting in the salt mines of Heilbronn after the war. Today, the World War II veteran now has a print of the painting hanging in his living room. “It reminds me of what we achieved and the sacrifices that people like my buddies made.” The real painting has been returned to the State Art Gallery in Karlsruhe, Germany. Brittanie, gave us a tough WWII quiz and the three lucky winners won an AMAZING PRIZE! 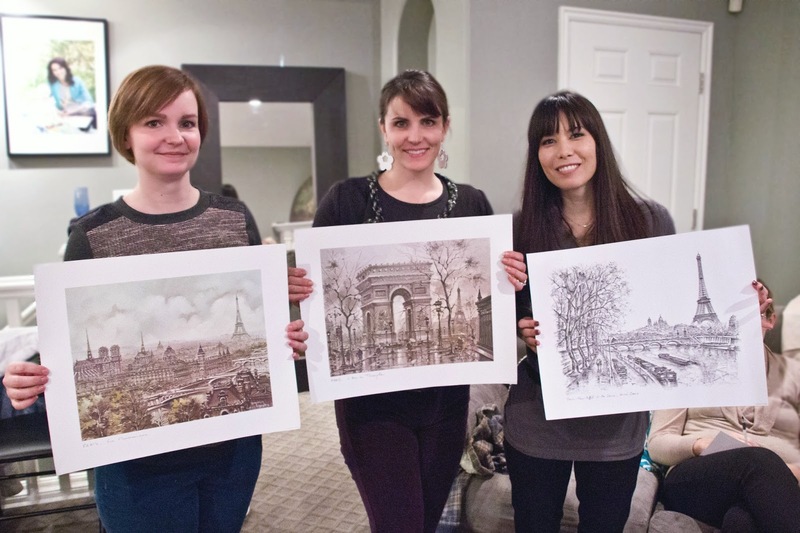 Brittanies parents recently returned from France and brought back these prints for her give-a-way, straight from Paris to our book club! 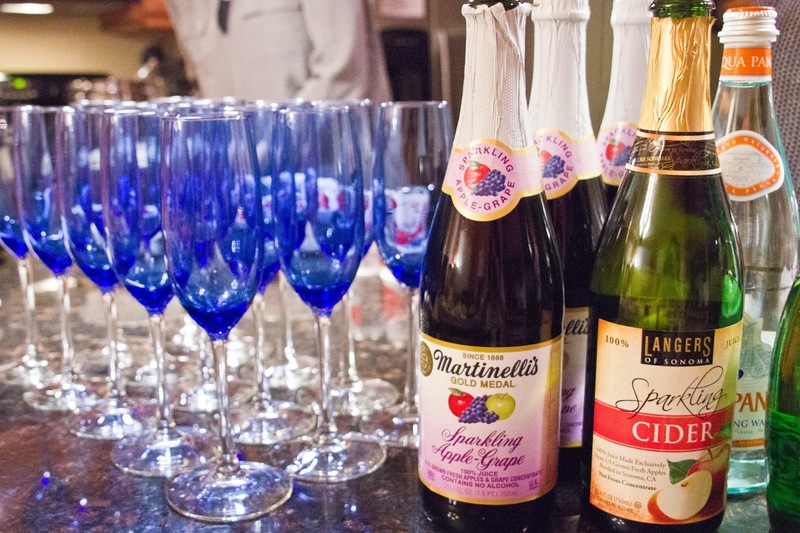 DON'T FORGET TO CHECK OUT OUR OFFICIAL STAR RATING AND REVIEW! Fabulous post Kelly! 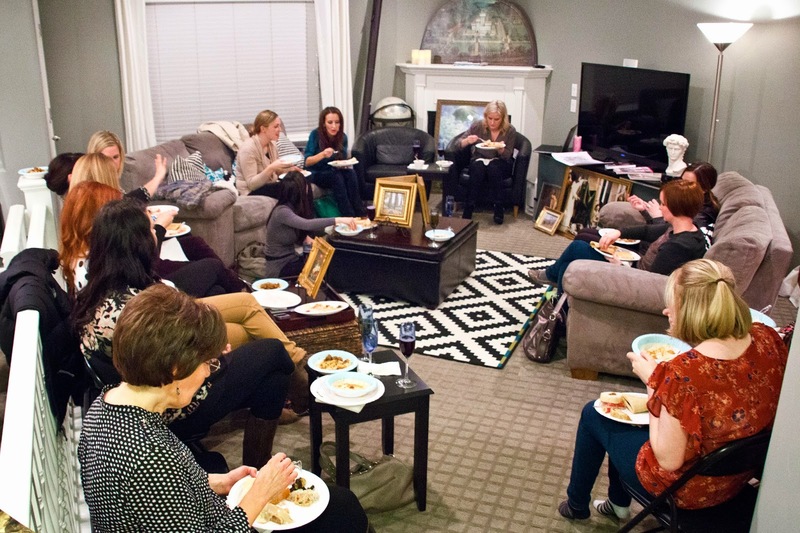 Delicious Reads book club is amazing! Love all the links and pictures you've provided. As usual this looks amazing!